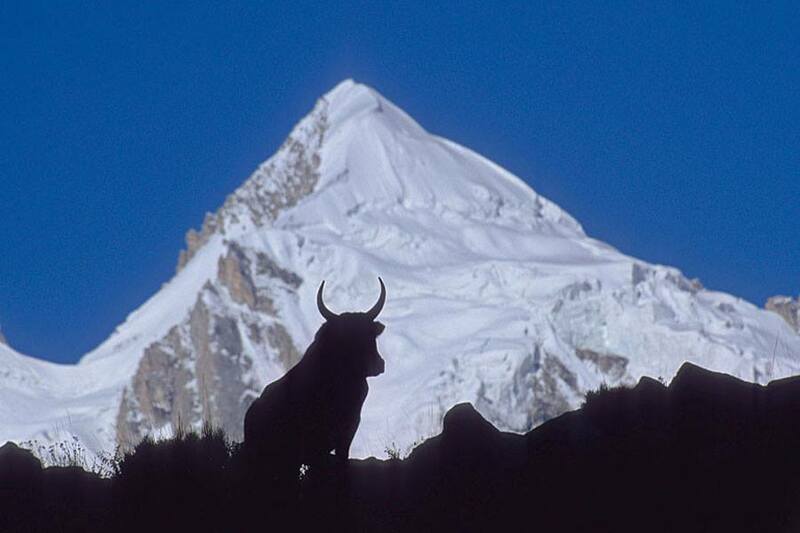 Spantik or Golden Peak is a mountain in Spantik-Sosbun Mountains subrange of Karakoram. 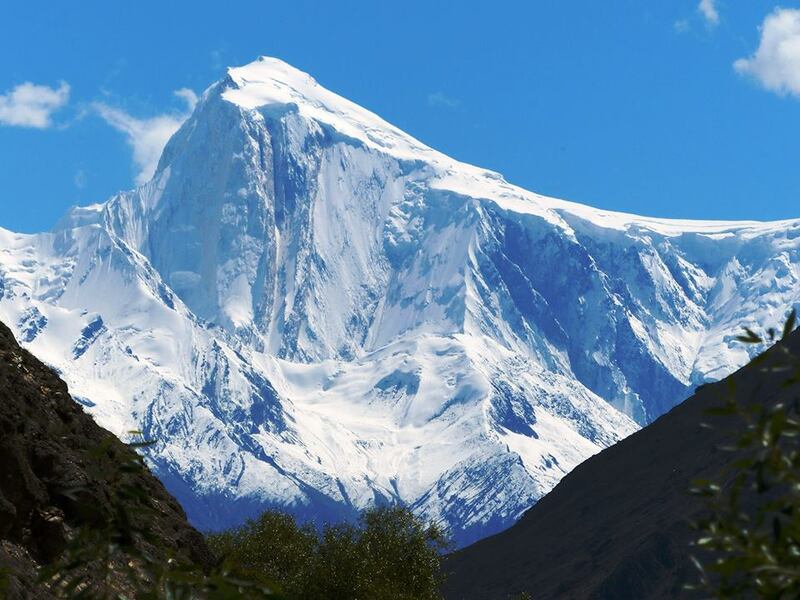 Its northwest face features an exceptionally hard Climbing route known as the Golden Pillar, Its lies in between Nagar Valley near Hunza and Arandu Valley in Baltistan. 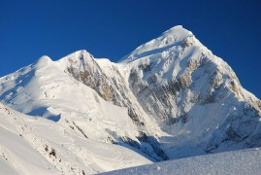 Spantik was first climbed in 1955 by Karl Kramer,s German Expedition. 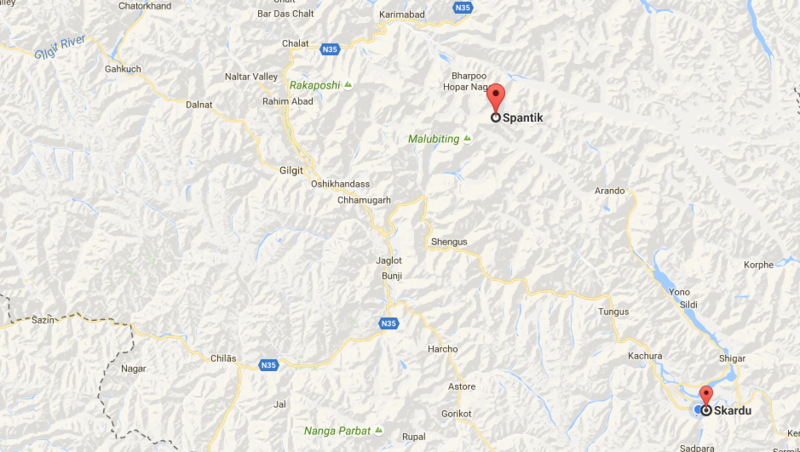 Spantik offers charming climb. There are two prominent ridges South East and North West . South East is a long and demanding snow ridge with few sections of technical difficulty and little objective danger. The North West Golden Pillar is a massive combination of ice and rock .most recently Spantik has been a favorite of climbers for training themselves for higher objectives. 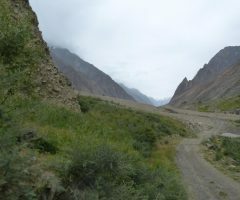 lying to the south of the great Hispar glacier and standing above upper Chogolungma, Spantik offers an attractive climb. 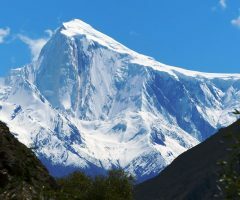 The summit on clear days presents grand views of neighboring Rakaposhi, Diran Maluubiting ,Ultar Sar, Batura Group, and entire Shimshal Mountains, and K2 far beyond and many more. The scene is absolutely breathtaking. 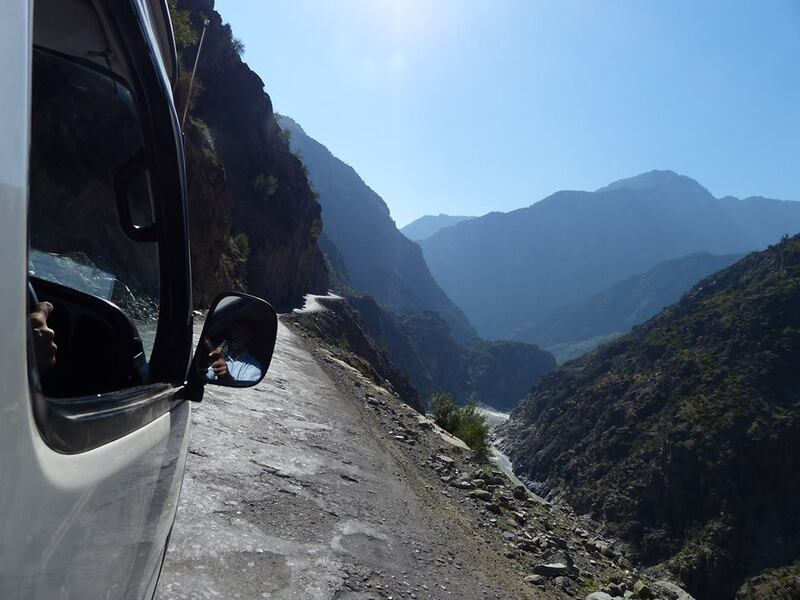 Arrival at Islamabad and transfer to hotel, afternoon some rest drive to Alpine Club of Pakistan with your Guide to Get Permit, City tour of Rawalpindi &Islamabad.Overnight in hotel. 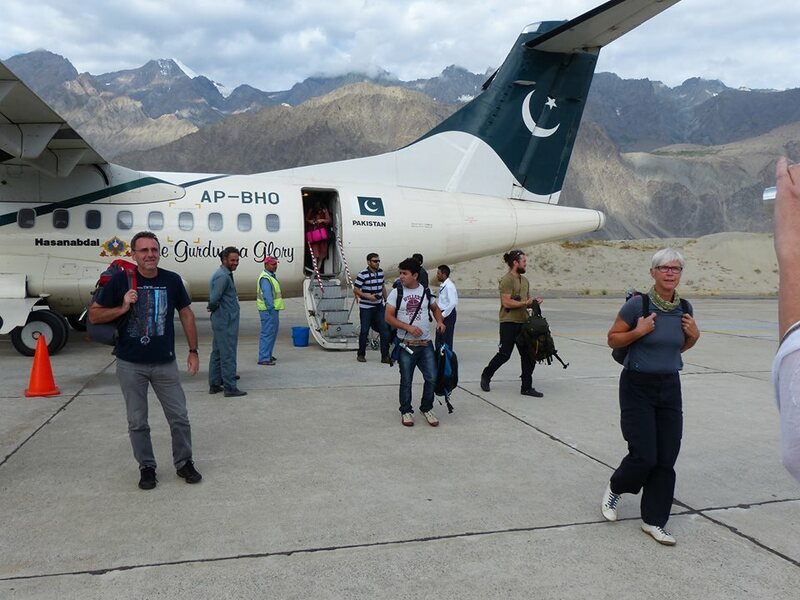 Fly to Skardu.45 minutes flight to Skardu is a very thrilling and unique experience of flying between the towering icy peaks of mighty Himalayan and Karakoram mountain ranges. 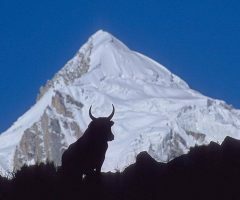 We may see the most spectacular views of Nanga Parbat, K2 etc. 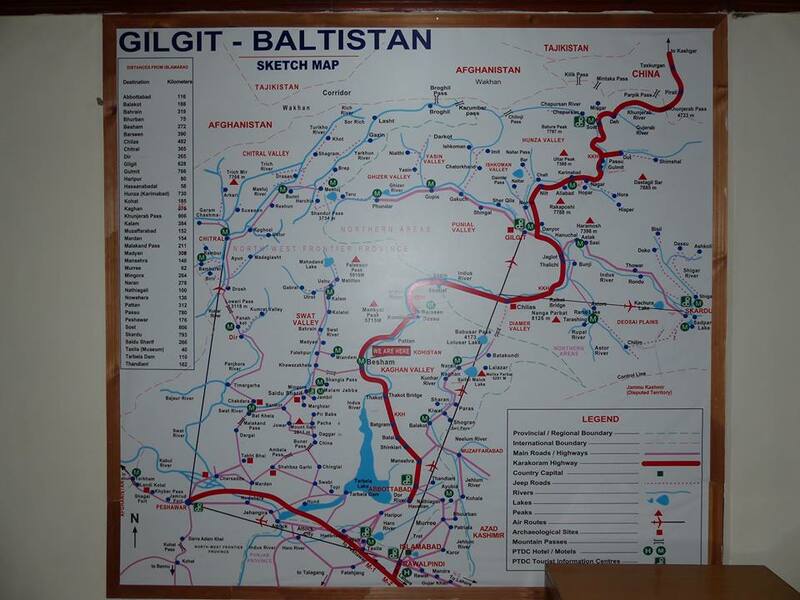 In case of flight cancellation(12-14 hrs)drive to Chilas(480km)on Karakoram Highway, Overnight at hotel. 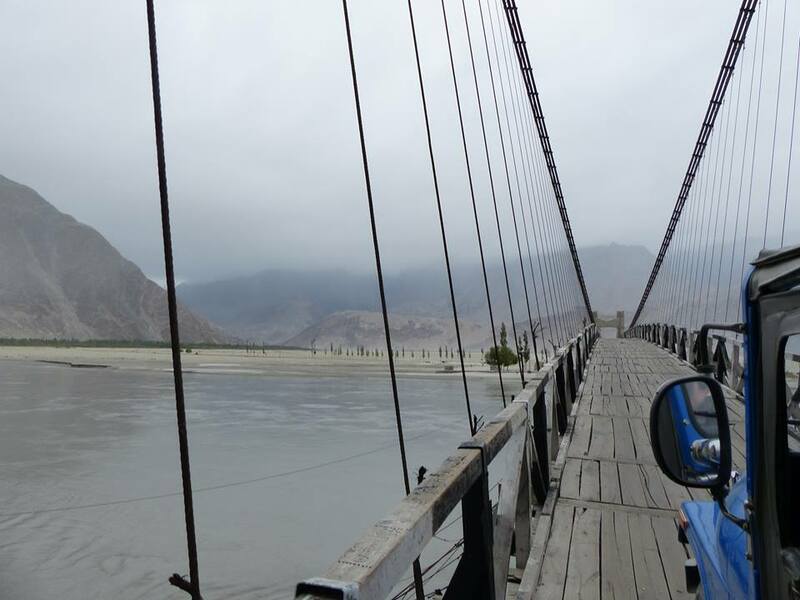 b.If you are driving, complete road journey (07-08hrs)to Skardu(275km). 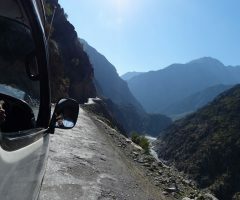 Enroute stop on a viewpoint near Thalichi to take a view of Nanga Parbat . 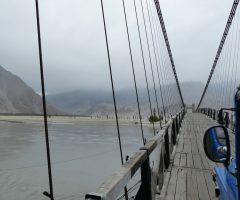 Proceed to Skardu .upon arrival transfer to hotel for Overnight. 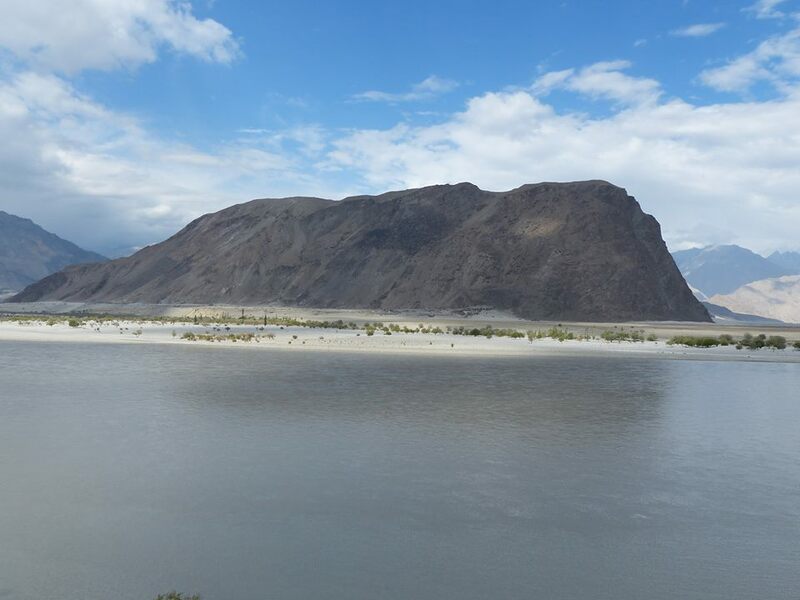 After breakfast in the hotel at Skardu, drive to Arandu, it will take 6-7 hrs by Jeep to Arandu village, En route we do our lunch, overnight at camp. Breakfast in camp at Arandu,Trek to Pukpen,it takes 5-6 hrs to reach Pukpen, dinner, and overnight at camp. It takes about (5-7 hrs) trekking to Khurumal, watching the miracle views of the pyramid of Spantik, passing through Manchinkera, which is a summer settlement of Khurumal, dinner, and overnight at camp. After breakfast in camp at Khurumal we start our Trek towards Bolucho, It is(4-5 hrs), Passing through the summer settlement of Gharincho and a small lake and enjoying the excellent views of Spantik and Laila Peaks we reach Bolucho,which is situated at the base of the Bolucho Glacier, dinner and overnight at camp. 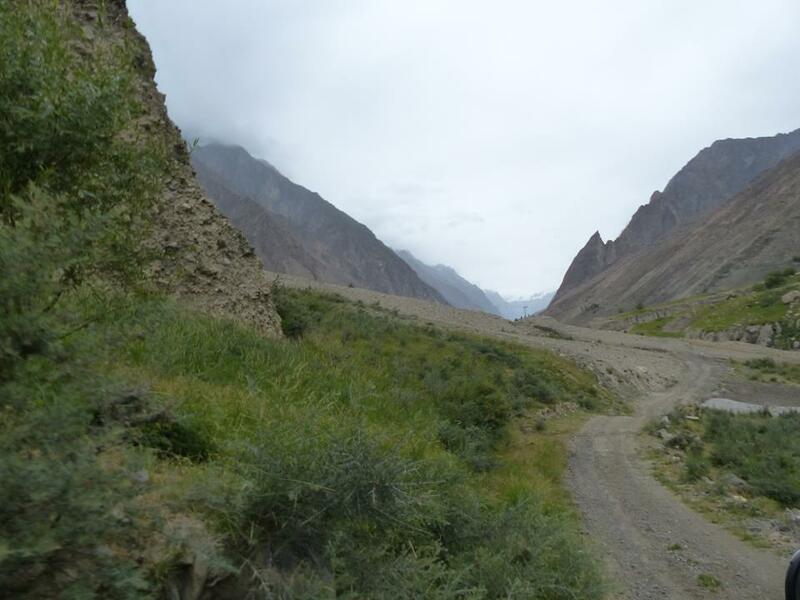 Day 08: Bolucho to Spantik Base Camp. After breakfast at Bolucho,we start our trek towards Base Camp, We leave the ablation valley and head on the Ice of the Chogolungma Glacier. (4-5hrs), dinner and overnight at camp. We have 21 days reserved for acclimatization and climbing, we will establish three high camps to climb Spantik, We will climb(8km) up to the origin of Chogo Lungma Glacier to set us camp I at(4600m). After breakfast Trek back to Bolucho 5-6 hrs overnight at Camp. 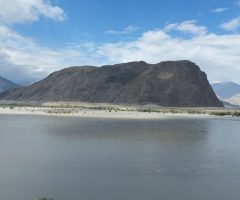 Early morning we do our breakfast in camp, drive to Skardu,(6-7 hrs), transfer to hotel, afternoon free for shopping or just walk around at Skardu bazaar, evening back to the hotel for dinner and overnight. a-After breakfast in the hotel, transfer to the airport Fly to Islamabad. (subject to weather conditions).overnight in the hotel at Islamabad. b-In case of flight cancellation drive to Chilas,(7-8 hrs)dinner and overnight at hotel. a-Sightseeing and shopping day at Islamabad. overnight in the hotel. 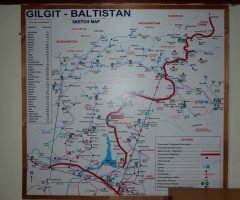 b-In case of driving, complete road journey from Chilas to Islamabad. overnight at hotel. Transfer to the airport for homeland flight, end of services and goodbye.